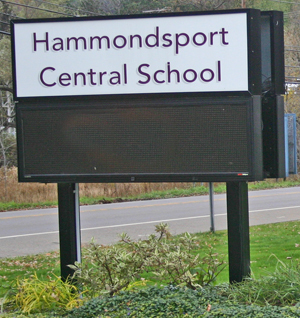 HAMMONDSPORT, June 8—Taxpayers of the Hammondsport Central School District approved the 2011 Infrastructure and Maintenance Capital Project on June 7 at the high school. The final vote was 146 in favor and 93 against. The proposed cost of the project totals $7,745,148 and is planned to tax district homeowners over the next 16 years to pay for the project. The school district cites the reasons for the capital program are based on the state building condition survey and the findings from the Hammondsport facilities. 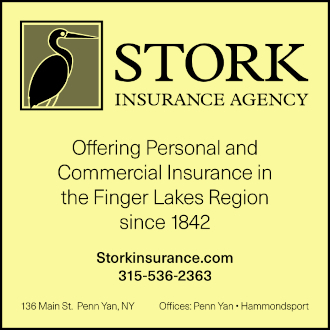 According to the Hammondsport school officials, the tax increase for the project is estimated at $.12 per $1,000 of full household value or an approximate average of 1.3 percent tax increase per year over the 16 years the project will be financed (this is for a household that does not utilize the state tax relief program-commonly referred to as the STAR program). • The replacement of failing roof areas due to parts of the school building roof sections exceeding their 20 year life span. Bower said this portion of the project will not exceed $2 million. 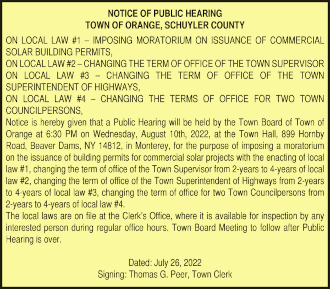 • The school plans to remove all of the current asphalt paving—down the the earth—in both the parking lot and the school bus loop area. Then the school plans to re-pave the entire area. Bower said the cost to Hamondsport residents will not exceed $800,000. The school states that by doing the project this way they will qualify for more than 57 percent of the work that will be funded with money from other taxpayers in the state. The total cost, before state aid, is $1.7 million. • The replacement of single pane, non thermal windows throughout the building. Currently, only one wing of the building has thermal windows which were installed back in 1998. Bower said the cost would not exceed $700,000. 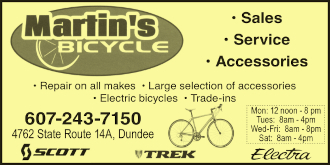 • Replacement of non-compliant doors and hardware due to not meeting current safety regulations. The district will spend no more than $345,000. • The abatement of remaining asbestos tile throughout the building. The cost will not exceed $200,000. • Masonry repairs to the exterior of the building, costing $165,000. • The creation of additional handicapped accessible restrooms within the building, costing $100,000. • Upgrades to technology infrastructure to handle current and future needs, $100,000. • Improvements to the fire alarm system, costing $100,000. • The upgrade of the electrical distribution system to help handle current needs, not to exceed $85,000. • The replacement of failing original 1958 galvanized cold water distribution piping. These pipes are corroded and clogged and carry drinking water. Bower said it would cost no more than $75,000. • Upgrades to the heating, ventilation, and air conditioning, costing no more than $75,000. • Installing handicapped accesible equipment to the playground, $35,000. Maintenance Supervisor Don Gardiner said the total construction cost, which includes labor and materials for these projects, equals $5.5 million. He explained the remaining $2.2 million of the project cost goes to cover architect fees, incidental costs, and if something unexpected happens to increase project costs. Gardner added if there is money left over from the $2.2 million, it could go to other projects.